The Jerald Development Group offers exquisite-quality house and community building services. Established in 1992, the company delivers spectacular designs, superb materials, and revolutionary technology. 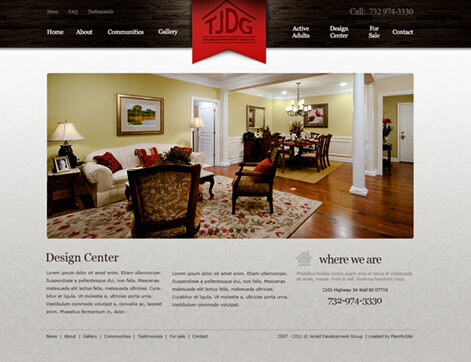 To ensure excellent service, T.J.D.G works with and studies township communities, facilities and demographics. Its innovation, sophistication and versatility have brought the company ongoing success, high regard, and multiple awards. By making quality building and client satisfaction its priority, T.J.D.G.’s motivated, dedicated and knowledgeable team not only meets but exceeds its clients’ dreams and expectations. 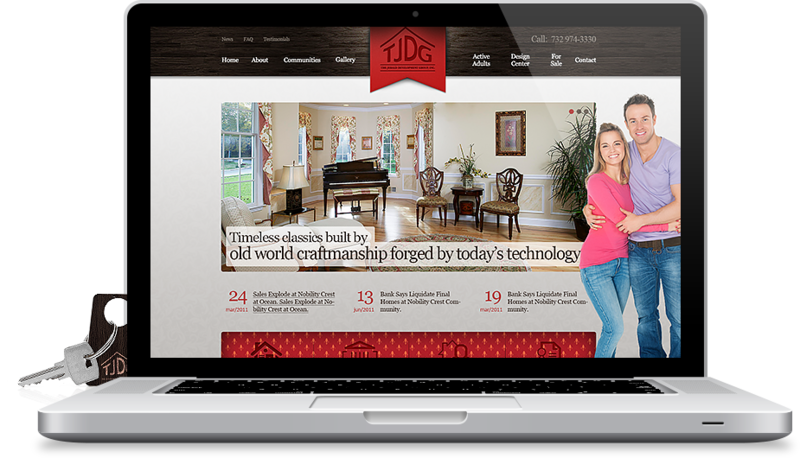 INCORE spread The Jerald Development Group’s trendsetting services to the online community. We strived to illustrate the style, sophistication and effectiveness of the company’s revolutionary construction work. Our goal was to make people feel the surrounding elegance, warmth and functionality of a need-fulfilling and lifestyle-suiting home and to entrust T.J.D.G. with their projects.